The Mongolia Retreat is the trip of a lifetime. The one you have been waiting for and without a doubt, the biggest, most exciting and exclusive trip that we are offering in 2018. This trip is so good it is limited to the first 20 people to register. Join us for 12 days in Mongolia and visit the Legendary Gobi Desert & Mystical Khangai Mountains. We will visit Ulaanbaatar, Gobi Gurvan Saikhan National Park, Khongor Sand dunes, the Bayanzag red flaming cliffs, the Ongi temple ruin, Orkhon valley and Kharakhorum. Immerse yourself in the Mongolian Culture by staying in Gers (Mongolian Yurts), meeting and spending time with local nomads and participating in a host of Retreat Activities. This is more than a Retreat. It is a journey of discovery and wonder. An opportunity to visit a land that is diverse, expansive, awe-inspiring and untamed. Equally matched by its welcoming people, their ancient customs and heritage. In the evening we will sit around the campfire, have good conversations and soak in the atmosphere. Arrival in Ulaanbaatar, the capital city of Mongolia. Traditional Mongolian welcome. Transfer to our hotel. Refreshments in the hotel. Lunch at hotel restaurant. In the afternoon, we will visit the National Museum of Mongolia and the central square. Late afternoon we will enjoy national art performance including famous throat singing and contortion. Evening Welcome dinner. Stay overnight in hotel. Morning pick up at our hotel, transfer to the local airport and take a 1.5-hour flight to South Gobi. Meet with our drivers. Travel to Khongor Sand Dunes. Known as the Singing Sand Dunes, the Khongor Dunes are up to 300ms high, 15kms wide, and 180kms long. You will have many opportunities to climb and hike through the Golden sand dunes. The view is incredible from top of the dunes. Stay overnight in Gers with the nomad community. We will enjoy a variety of optional workshops and activities. You will also get to experience the nomadic lifestyle and culture by visiting nomads, tasting traditional dairy products and seeing the daily life of the people. Optional camel trek is available. Accommodation will be in Gers. We will travel to Bayanzag, the world famous paleontological site of fossilised remains of ancient dinosaurs. You will see Saksaul Forest in the Gobi Desert and the Red Flaming Cliffs, which are formed by the erosion of sand and rock over thousands of years. Continue travel to Ongi Temple Ruin, formerly one of the largest Monasteries in Mongolia with 28 Temples. Stay overnight in Ger camp. We will travel to Orkhon Valley with a late afternoon arrival at nomad community who live in the Forest Steppe Zone. Stay overnight in Ger. We will enjoy a variety of optional workshops and activities. You will also get to experience the nomadic lifestyle and culture by visiting nomads, tasting traditional dairy products and seeing the daily life of the people. Optional horse trek is available. Accommodation will be in Gers. Travel to Kharakhorum. Kharakhorum is the ancient capital of Mongolia where Chinggis Khaan established his headquarters in 1220. In 1235, his son and successor, Ogodei built a palace enclosed by walls. We will visit the museum and famous Erdenezuu monastery, the largest and first Mongolian Buddhist temple complex built on the remains of 16th century Kharakhorum city. Stay overnight in Ger camp. Travel to Ulaanbaatar city. Arrive in Ulaanbaatar and transfer to your hotel. Shopping and Farewell dinner. Stay overnight in hotel. We will be eating local dishes and will endeavour to cater to individual requirements. All meals are included in the costs. 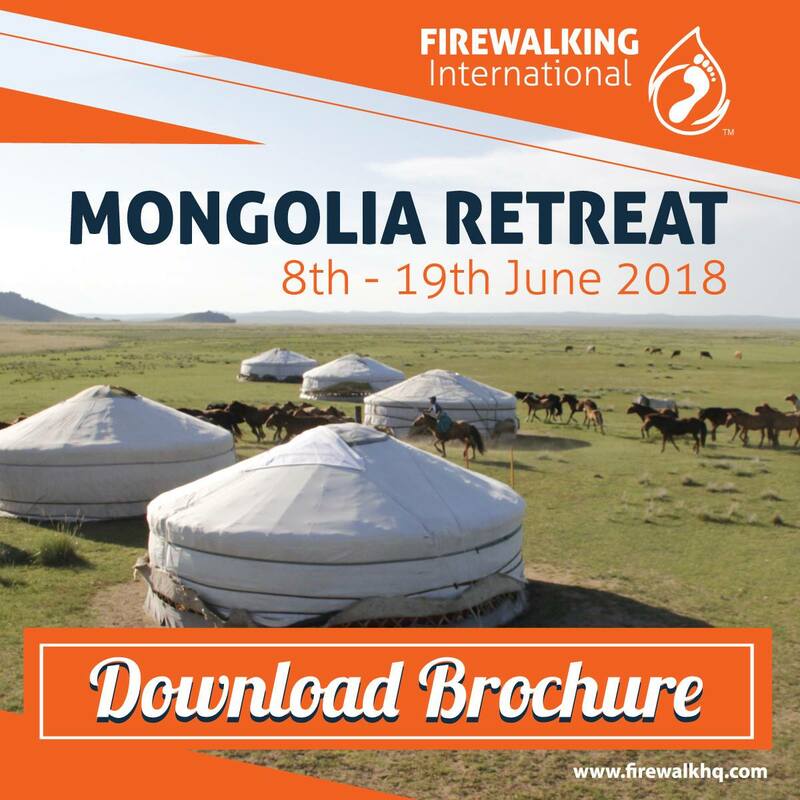 The retreat begins on Friday 8th June 2018 in Ulaanbaatar, the capital city of Mongolia. Airport transfers are included in the cost and if you arrive a day or two early we can book you into the same hotel we will stay at on the first night of the retreat. You are responsible for arranging your own flights to Ulaanbaatar. Yes, all meals are provided and we will do our best to cater for any special dietary requirements. Get in touch before you book to make sure we can cater for you. Absolutely. The camps are safe and secure (local English speaking guides stay with us) and when you book and when you arrive we will give you information on all matters related to safety and well being. You MUST bring a personal first aid kit as we are in remote areas and you need to have some responsibility for your health and well being. You MUST have your own travel insurance. We will be staying in Gers (similar to Yurts) which have beds and bedding in them. They are basic and comfortable. Gers will have beds for 2 – 6 people. The lone travellers will have to share for definite, single occupancy is not an option. We will send a list of what to bring when you book. As a heads up, during the day it will get to about 30° but it will be cooler. You will want to add layers in the evening. Good walking shoes or sandals with thick soles, so that you can also walk on stones. You also need very good and highly protective sun screen with a hydrating cream. The cost is £1800 if booked before 1st September 2017 and £2200 thereafter. Payment plans are available. If you offer to lead a workshop and are chosen, you will receive £200 off the cost respective of the price available at the time of booking. Included: All retreat and cultural activities described in the itinerary, twin/double share basis hotel accommodation (2 nights) in Ulaanbaatar, Ger camps, English speaking guide service, One Way Domestic flight, entrance fees to Protected Areas and sightseeing costs, all transfers by bus in the city and by 4WD Russian minivan in the countryside, mineral (bottled) water 1.5L per person daily use, all meals. Excluded: International transportation to and from Mongolia, travel insurance, alcoholic drinks, tips & gratuities, snacks, laundry and items of a personal nature. Remember, you need to sort your own flights to Ulaanbaatar.